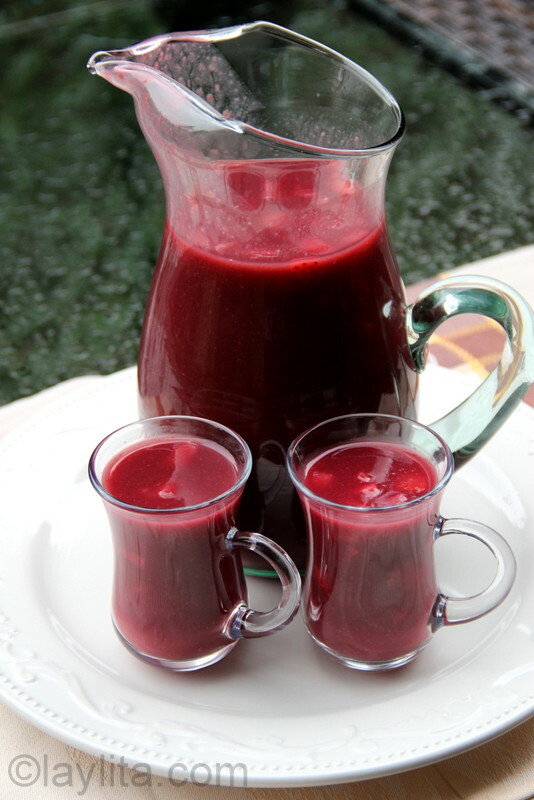 October is colada morada season in Ecuador. It’s an Ecuadorian tradition to have this thick drink, made with purple corn flour and a variety of fruits, spices and herbs, during the celebrations of the Day of Deceased (Dia de los Difuntos) on November 2nd. Even though the holiday is at the end of the month, you can find street vendors selling colada morada during the entire month. 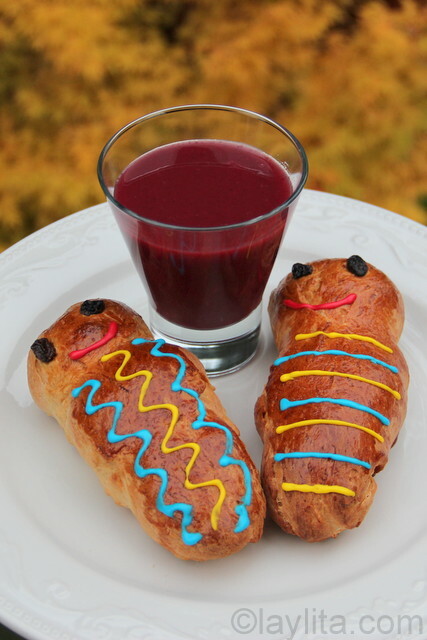 Colada morada is served with guaguas de pan or sweet breads that are shaped in form of babies or animals. 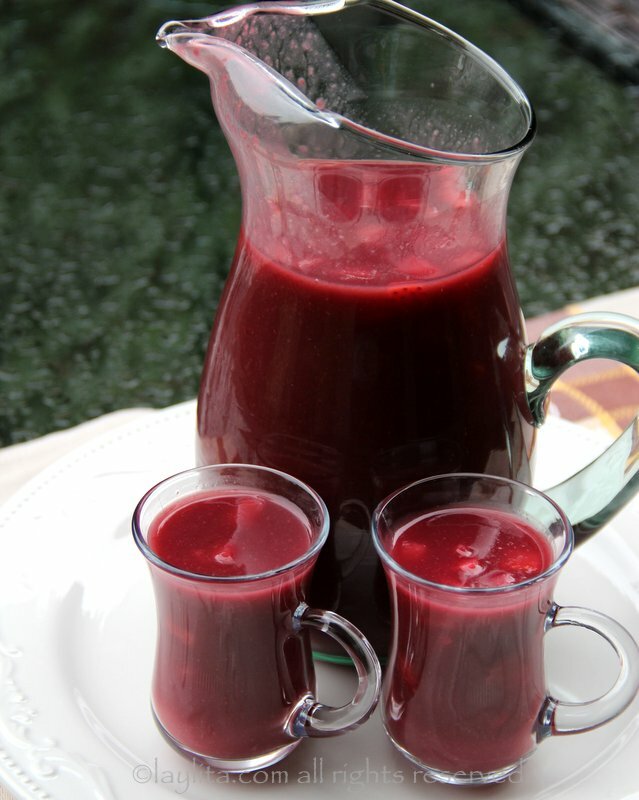 I’ve already posted the traditional recipe for colada morada. However, it just so happens that my kids (and I) love this drink, so I came up with a simplified version of colada morada that would allow me to make it more frequently without sacrificing the original taste. An easy version of the traditional Ecuadorian colada morada drink that is adapted for hard to find ingredients and is easy enough to make on a more frequent basis. This version is inspired by the classic oatmeal colada. 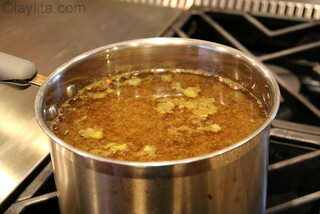 In the mean time, combine 8 cups of water, naranjilla juice, cinnamon, spices, and panela in a large pot. 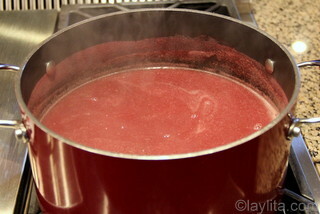 Bring to a boil, reduce the heat and simmer for about 30 minutes. 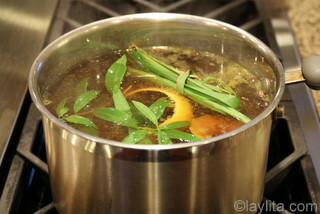 Add the orange peel and herbs during the last 5 minutes. Remove from heat and strain. 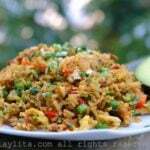 Blend the berries, the soaked oats and 2 cups of the naranjilla mix. 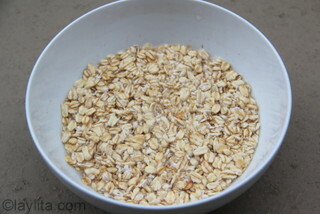 Mix the strained berry oat mixture with the naranjilla juice mix, return to heat and bring to a boil. Reduce the heat and cook over low for 5 minutes. 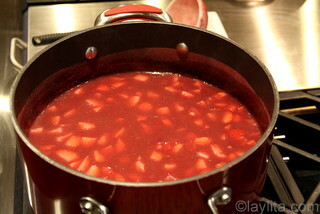 Stir in the diced strawberries. 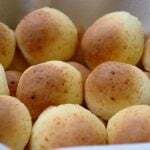 The following photos are links to the recipes for the traditional colada morada and the guaguas de pan or bread figures. 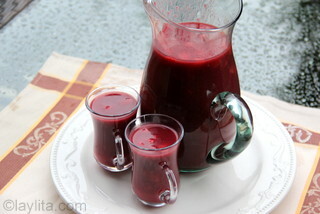 This easy version of colada morada is also a good option for those who can’t find ingredients like purple corn flour. 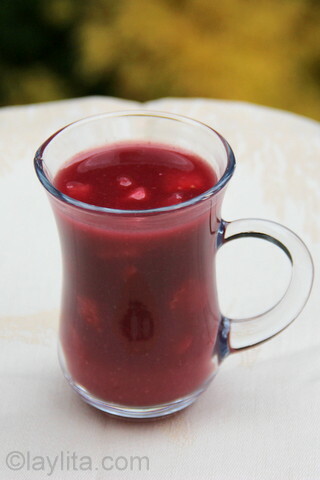 My quick colada morada is a hybrid of the traditional colada morada and the popular oatmeal colada. 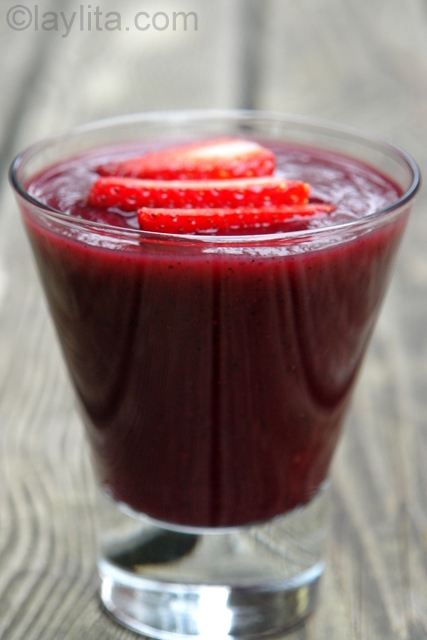 We could also call it a berry colada de avena or oatmeal berry drink. You can make this colada morada as thick as the traditional one, or you can make it less thick and more like a colada de avena. 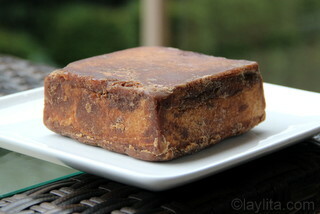 If you are making it during warmer months then I would recommend making it more liquid and serving it cold. 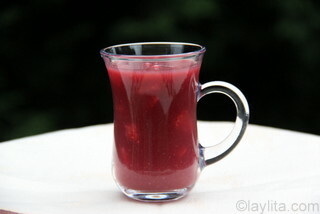 In this everyday version of colada morada, I left out the pineapple that goes in the classic recipe. However, I do use naranjilla, a citrusy Ecuadorian fruit; you can find frozen naranjilla pulp at most Latin grocery stores. If you can’t find naranjilla juice then you can use pineapple or passion fruit juice. I also included blueberries in this recipe. In Ecuador we have a wild blueberry called mortiño that grows in the higher colder mountains; these berries are usually used in colada morada. 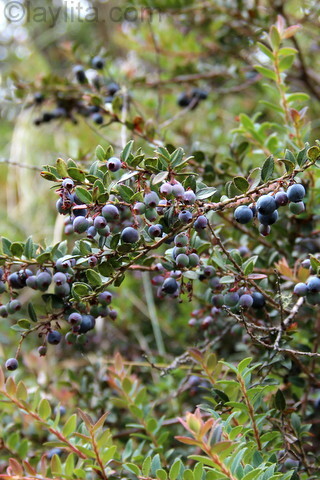 This summer on a hike around lake Cuicocha in Cotacachi we found many of these yummy wild berries. 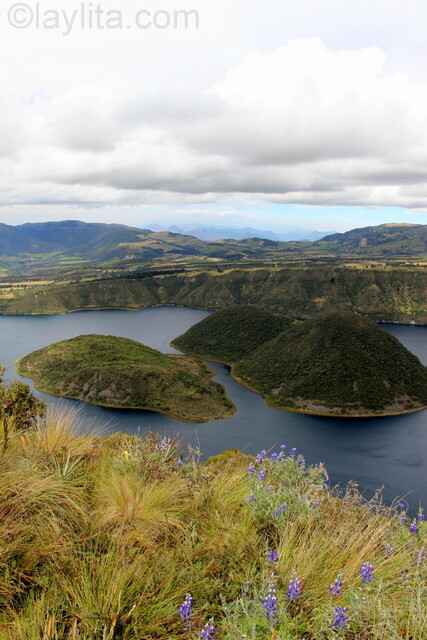 I highly recommend visiting this gorgeous area in the north of Ecuador, the landscapes and hiking/mountain climbing is unbelievable and the local food specialties are delicious. 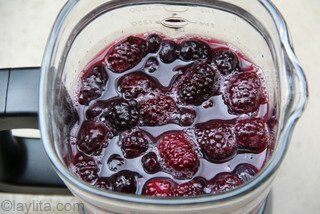 Moras or Andean blackberries are also added, you can use regular blackberries. 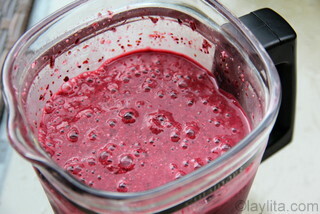 If blueberries and blackberries are out of season then you can use frozen ones to prepare the colada morada. This is also one of reasons why I wanted to make an easier recipe that could be made more frequently: to take advantage of early summer/late summer berry season. 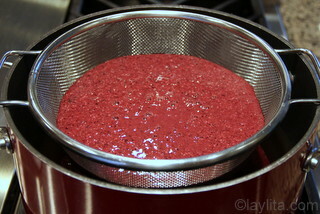 Just as in the traditional colada morada recipe I add diced strawberries as the final step before serving the colada morada. I do encourage you to at least try to make the traditional colada morada at least once during the year, especially during this season. But if you can’t find the ingredients and are craving it more than once a year, then this quick version of colada morada is perfect for you. 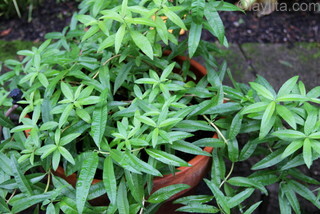 I used fresh herbs for this recipe, mainly because they were growing in my container garden, so it was a no-brainer, but dry herbs also work fine. You can find lemon grass at many Asian markets and cedron or lemon verbena can also be found at some specialty stores (I’ve bought it at Whole Foods and Central Market before). 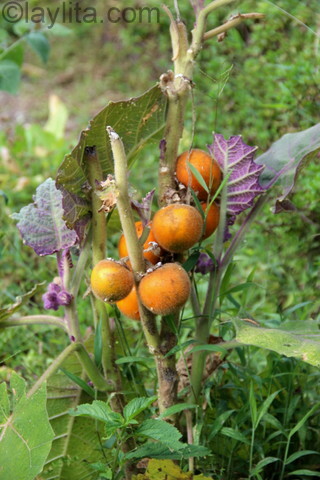 Where can I get naranjilla (lulo) in the bay area? I’m not familiar with Latin grocery stores in the Bay area, but if you can find one (especially one that sells South American ingredients) they should have the frozen concentrate and sometimes even the frozen whole fruits. Maybe someone local can provide a more specific answer. I made the easy colada morada with my sons’ preschool. 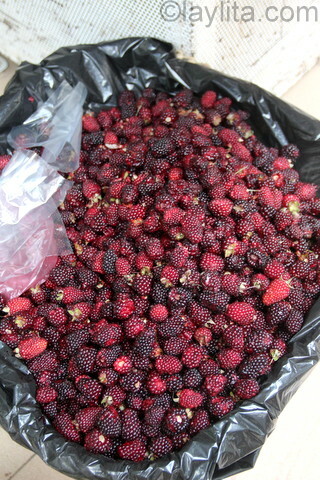 The kids had fun slicing the berries & smelling the various ingredients. And it was delicious! Thank you for the recipe! I made this today for my parents who just came from Ecuador. They loved it. I like the idea of using oatmeal as this makes me feel that I am eating something that is good for me :) thank you for posting this. I love your website. 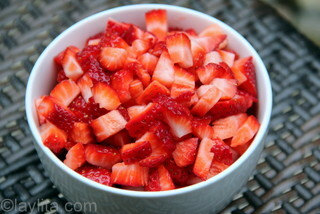 Hi- can the strawberries be frozen as well or should they be fresh?? Thanks!! Fresh is better, but frozen will also work. I love the ‘Related Posts’ widget – I must have clicked on a million of new posts and each one looked more delicious than the last… and this one looks I’d enjoy it the most :D .
Hola Laylita, primero gracias por compartir esta receta, tengo ganas de hacerla pero nunca he usado lemongrass, es mas ni siquiera sabia que habia una variedad de esta yerba. Me imagino que tienes un huerto con estas plantas, pero donde puedo conseguir aqui en los E.U.?. Hola Jully – Es lo que llamamos hierba luisa en Ecuador, por lo general lo puedes encontrar en los supermercados asiaticos ya que tambien lo usan mucho en su gastronomia. 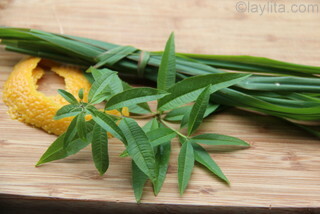 Se que Whole Foods tiene cedron o lemon verbena, pero puede ser que tambien tengan lemongrass. yo nunca he probado hacer con avena, tal vez me anime. Lo trate y me quedo delicioso, no lo habia probado desde que llegue a USA 35 largos anos, mi abuelita lo hacia. 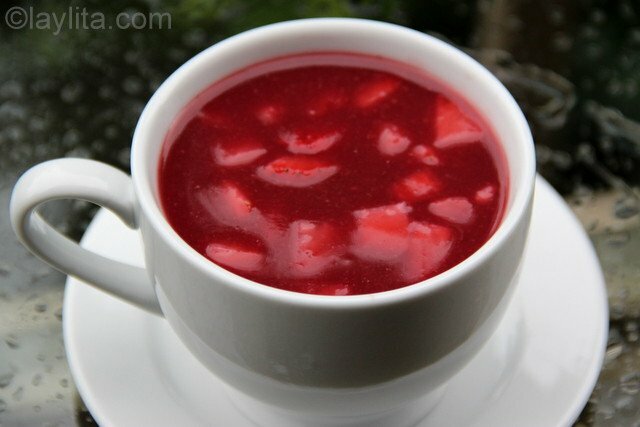 Hace unos años hago colada morada acá en Boston para el 02 de noviembre. Tu receta simplificada se parece mucho a las adaptaciones que me ha tocado hacer. Qué bien ver que La Autoridad de la comida ecuatoriana en el exterior está de acuerdo conmigo. :) Muchísimas gracias por tomar el tiempo de siempre compartir estas recetas que emocionan a tantas personas.